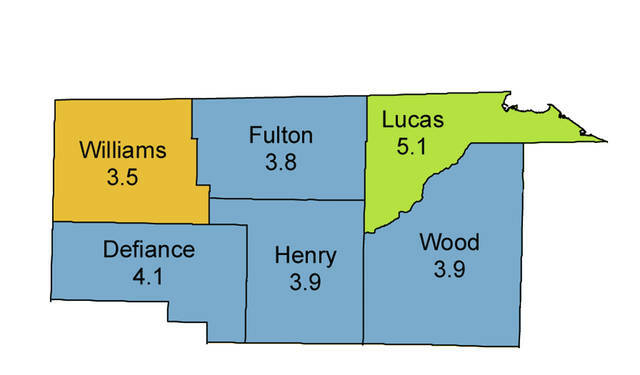 In Lucas County, the jobless rate was 5.1 percent in October, an increase from 4.9 percent in September. In October 2017, the rate was 5.2 percent in the county. https://www.swantonenterprise.com/wp-content/uploads/sites/23/2018/11/web1_Jobless-Oct-18.jpgUnemployment rates were up slightly in the area during October.